1947. Odd Fellows Hall in background. Shed was on corner of ""alley"" and Church St. 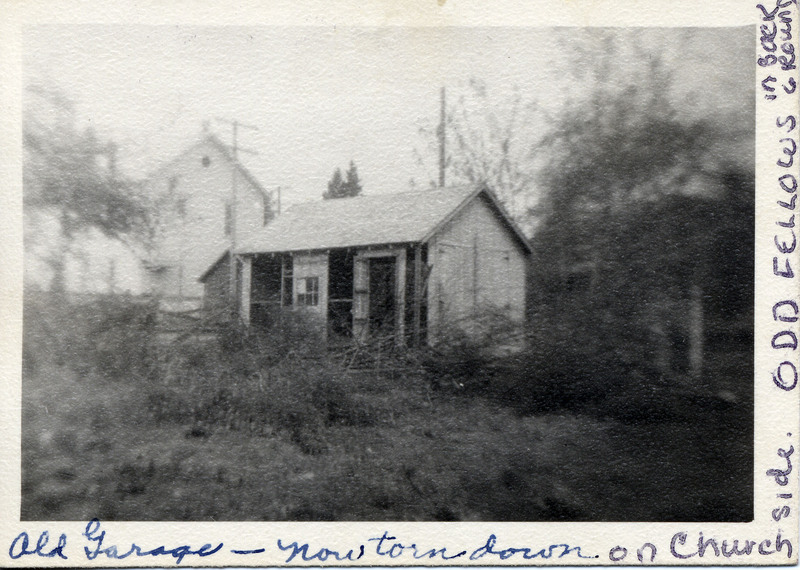 Description [written on photo]: Old garage, now torn down, on Church [Street] side. Odd Fellows in background. Transcription 1947. Odd Fellows Hall in background. Shed was on corner of ""alley"" and Church St.